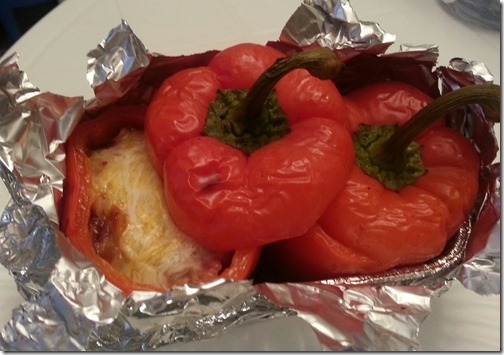 …stuffed with onions, bacon, cheese, and some sourdough break cubes, then roasted in a small foil pan covered with foil on my Holland Grill. This tasted phenomenal! It turned out way better than I expected. 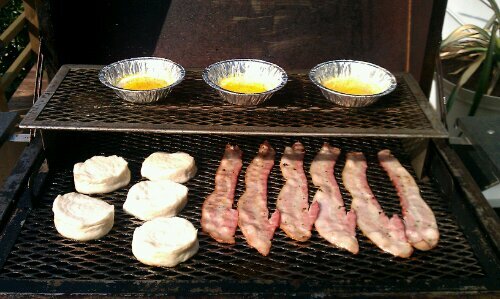 Bacon, eggs, and biscuits on the uber grill. Jack in the Box has a new commercial for their BLT Cheeseburger. The website promoting it has all kinds of bacon-related stuff, most of which is promotional, but still has some bacon gems! 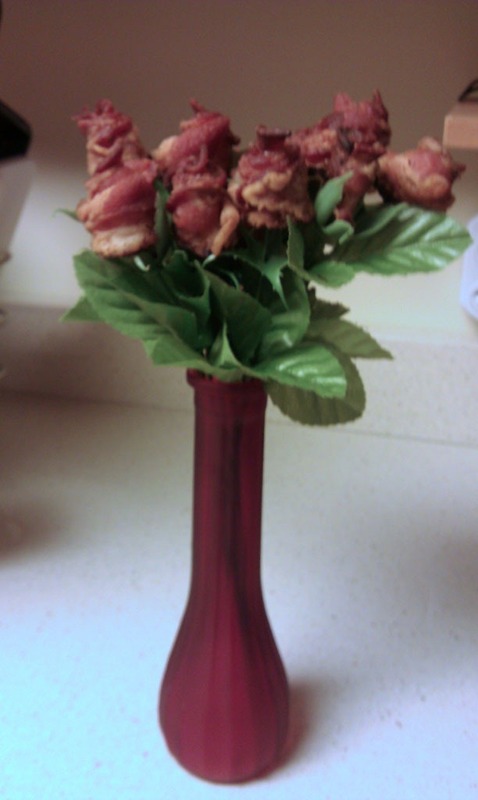 Lori made these for me for Valentines Day. I just finished the latest video that Megan and I shot back in October. I had some issues with the effects back then and gave up for awhile, which is why it took so long. The effects and 98% of the editing were done using FXHome’s HitFilm. I used Adobe Premiere Elements for the titles and some of the sound. 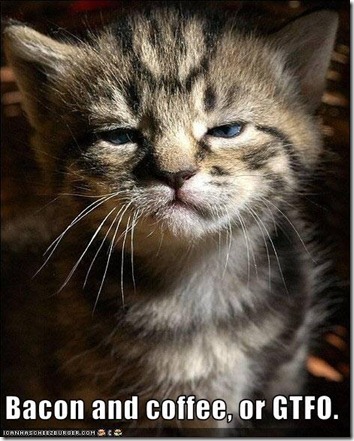 I got up at 6:00 this morning, made myself a nice cup of Gevalia coffee… and started frying up some bacon. 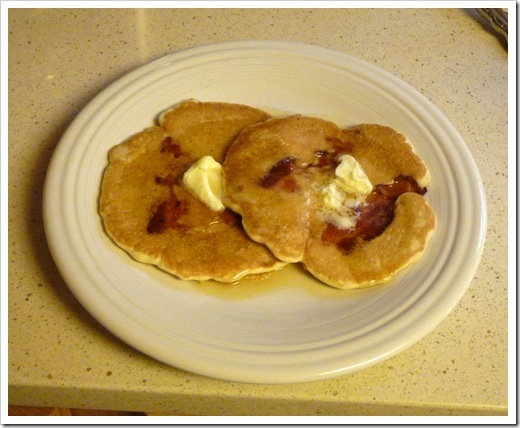 Matt Blum of the Geek Dad blog, had a post about his recent experience making bacon pancakes and, since I’m a bacon aficionado, I thought I’d give it a try. My daughter was game, too, but we had to leave for a horse show at 7:45, so I had no choice but to get started early… on a Saturday, no less! 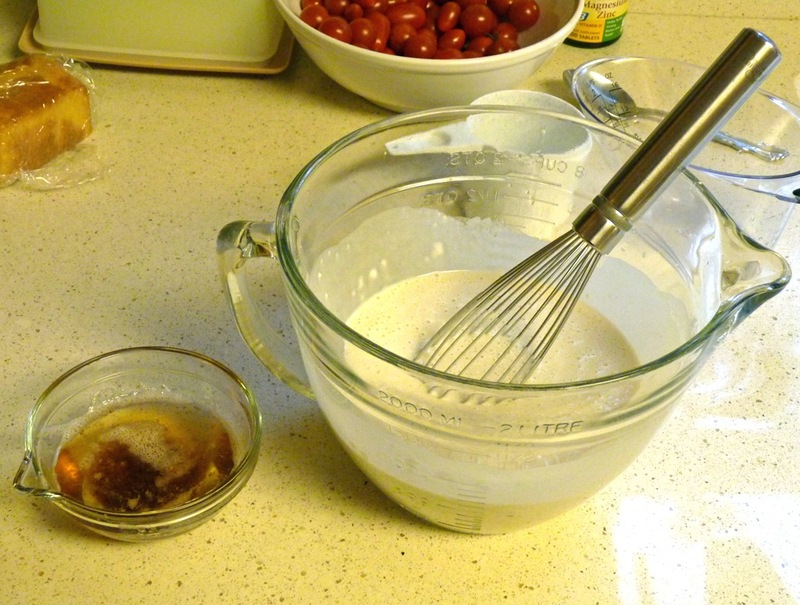 Having filled the kitchen with the spectacular aroma of bacony goodness, I went to work on the pancake batter. I will admit that I skimped on this part, as I used some Crusteaz pancake mix. Matt Blum made his from scratch and I will acknowledge his batter superiority, but hey… I was on a timeline here. 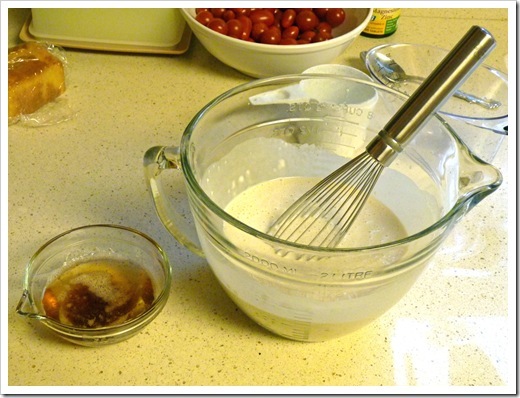 I did, however, add a bit of the bacon grease to the batter for some extra flavor. All that was left to do was griddle me up some pancakes! 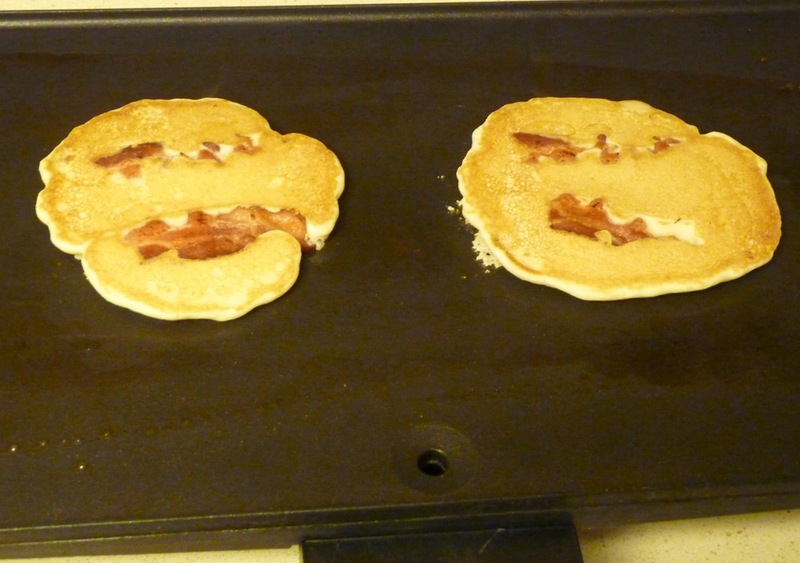 Taking Matt’s advice, and taking into consideration the ease of griddle cake flipping, I decided to tear a piece of bacon in half for each pancake instead of making a long, bacon-shaped pancake. It worked fairly well. I did three combinations. Here is version #2 about to come off the griddle. 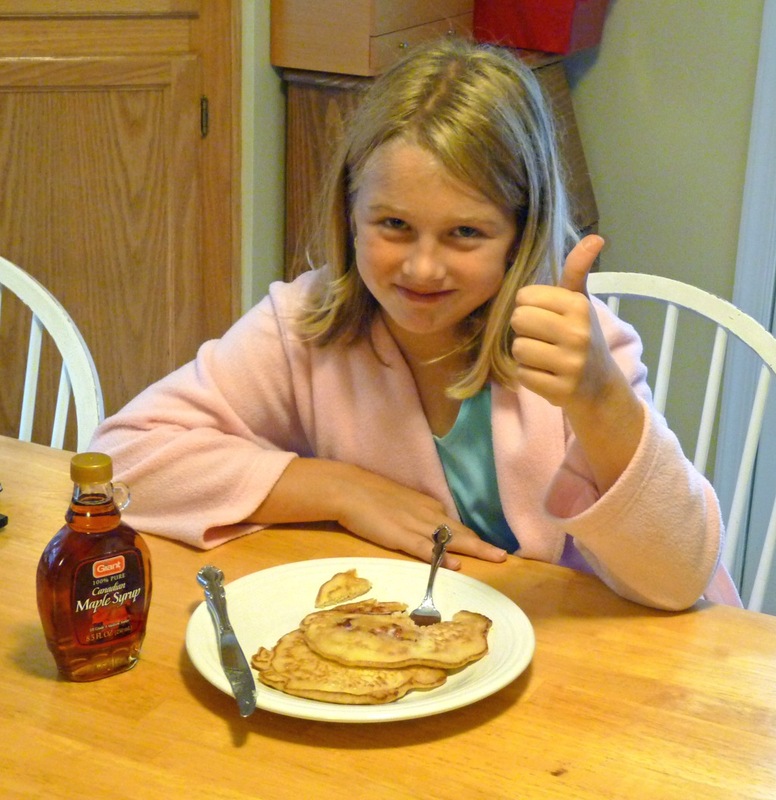 Megan got the first batch of two pancakes. She ate both of those and a small part of a third. I ate four of the #2 version. Nobody ate the one pancake that was version #3. We were both way too stuffed at that point. 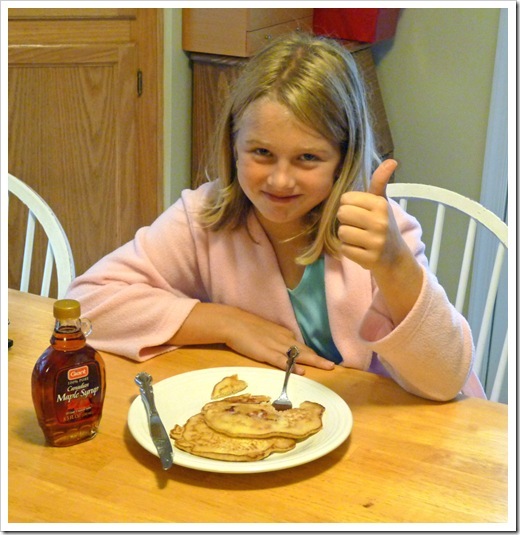 Of course, pancakes aren’t complete without butter (real butter) and maple syrup (real maple syrup). Yes, Yes. 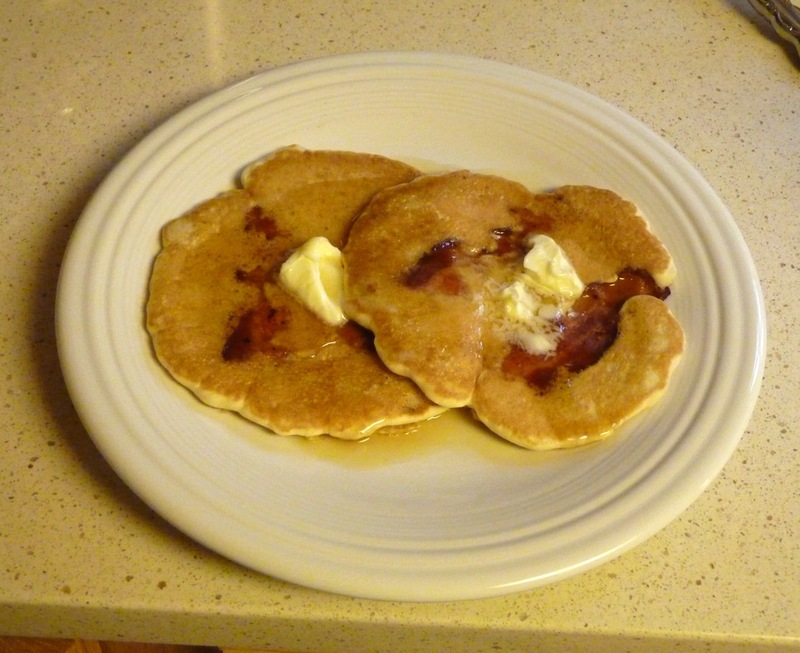 I know there was already bacon in the pancakes and bacon grease in the batter (we added more for the second batch, by the way, because the batter didn’t have enough of a bacony flavor), but that doesn’t preclude adding butter. It’s a different category of fat. Now move along. 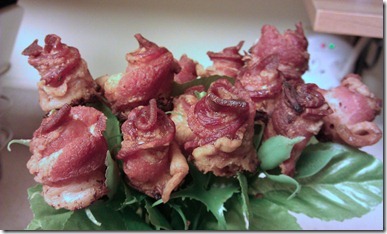 In retrospect, I think that they would be easier to eat if the bacon were cut into smaller pieces… perhaps squares. 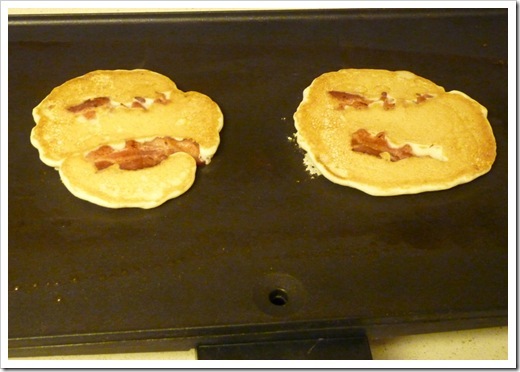 A more even distribution of bacon within the pancake would be a definite enhancement. That said, they were still awesome. Megan gave them a thumbs up. After eating four of the pancakes, it was a long time before I was ready for lunch. How the heck do I sign up for this job!? 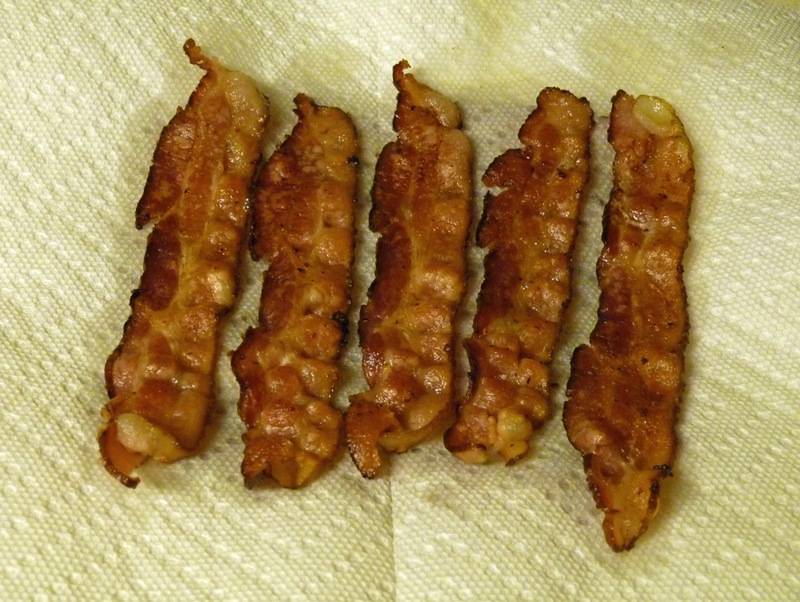 We taste-tested pounds of bacon from the grocery store to find the sizzling winners. The folks on Rachael Ray’s website have got it made! I’m a big fan of thick-cut bacon, but I’d be more than willing to try the others, though turkey bacon holds a lesser appeal. It’s not real bacon. 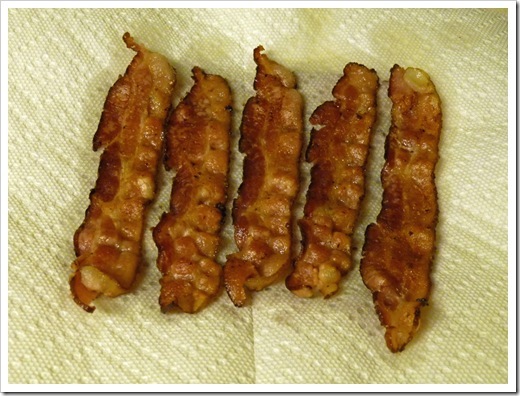 As we all know, real bacon comes from magical pigs. Hint: All pigs are magical.